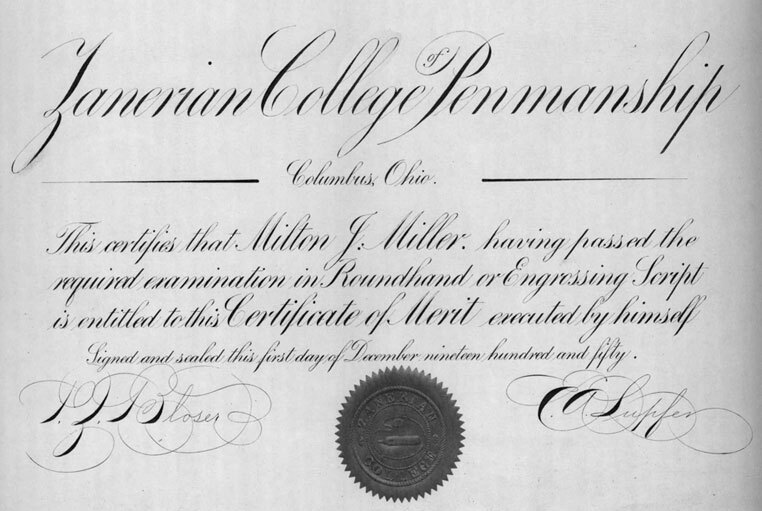 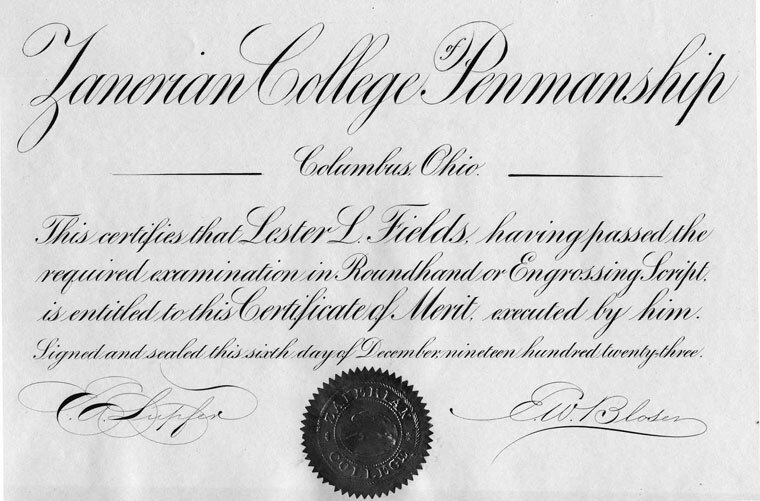 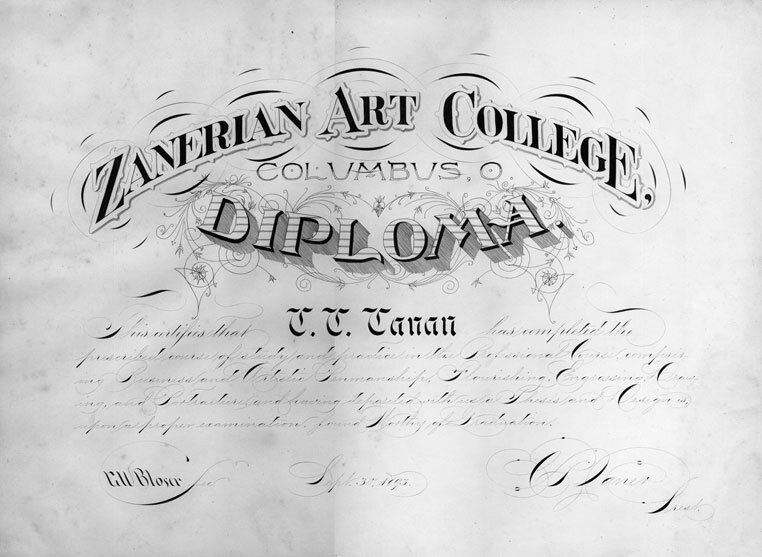 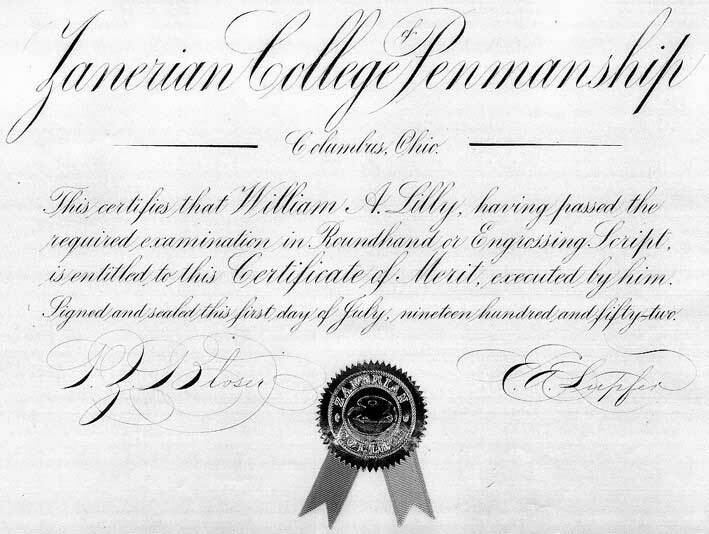 Graduates of The Zanerian College were required to pen their own certificate depending on their area of study. 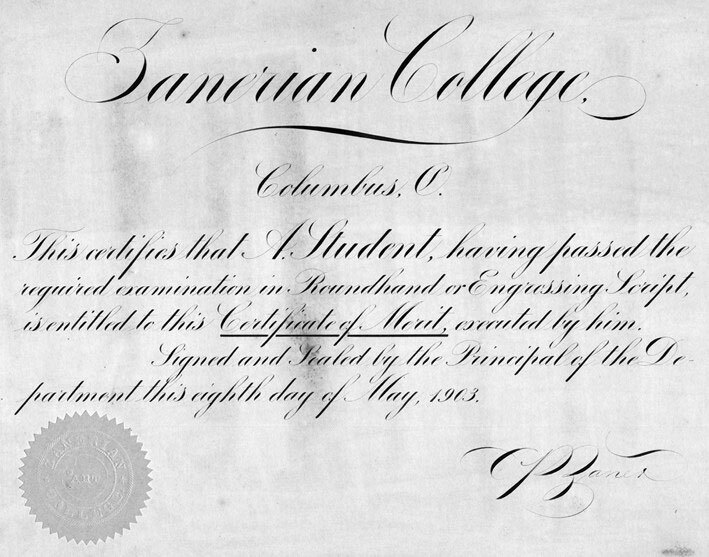 Students were awarded colored seals based on their level of achievement with a Gold Seal being the highest followed by Red and Green in that order. 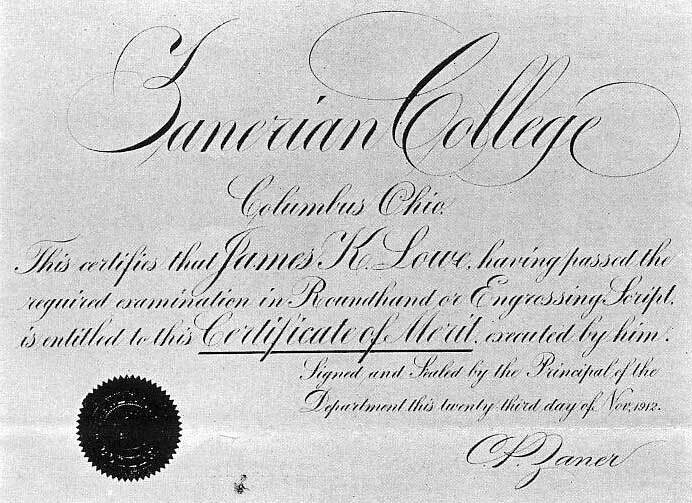 This page provides links to images of all known certificates. 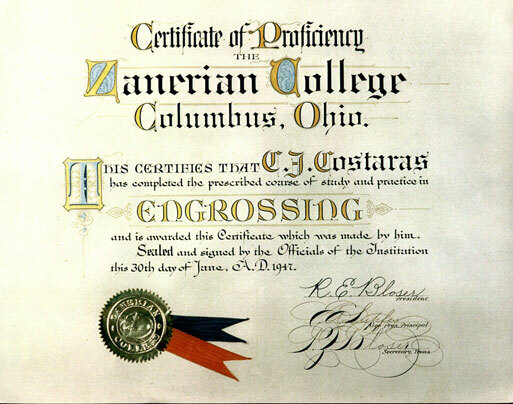 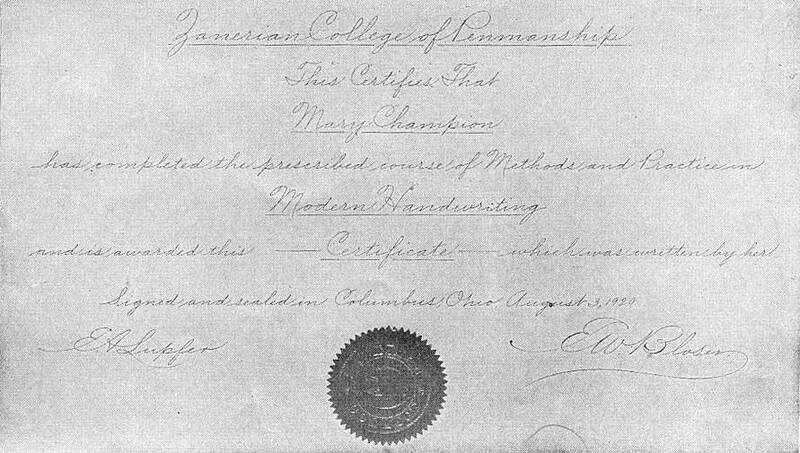 Gold Seal certificate in Engrosser’s script. 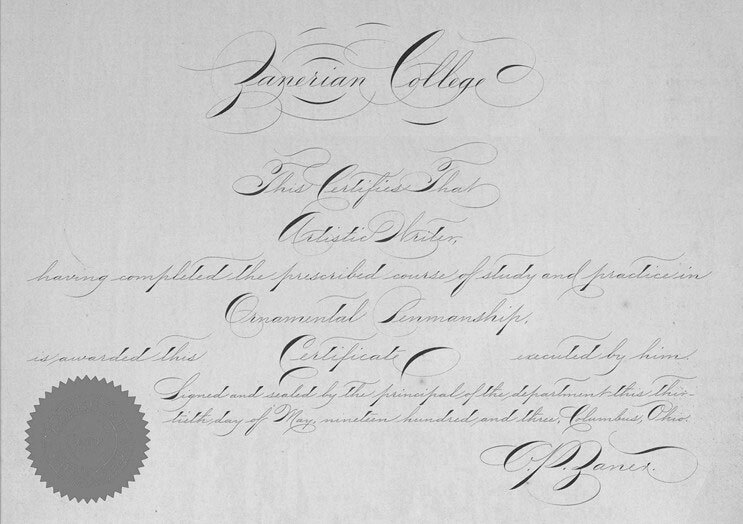 In addition, we have located two ‘model’ certificates penned by the man himself Charles P. Zaner, founder of The Zanerian College, for his students to use as a guide. 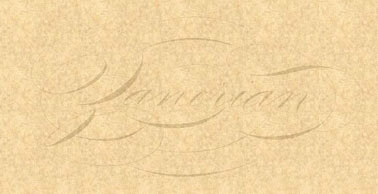 These two breath taking rare specimens are penned in Engrosser’s script (Vitolo Collection) and the other in Ornamental/Artistic script (Hurford Collection).